Cambridge is a quintessentially English city, synonymous with bicycles, punting and a world-class university. While it may not be quite so well known for its thriving business community, it is just as much an integral part of the city’s culture as cyclists! There are many well-founded and valid reasons to start a business in Cambridge, but in this blog, we will cover what we deem to be the top five. Without further ado, let’s get started! Silicon Fen in Cambridge – the UK’s answer to Silicon Valley – is home to many high-tech businesses and first-class facilities. Any new business in the area will therefore be surrounded by passionate and ambitious peers with whom they can share ideas and use as inspiration for their own projects. As a result of the high number of high-tech businesses in the area, it comes as no surprise that there are plenty of support services available for any innovative new startup. Transport links are very good in the area. With easy access to London, Norwich, Peterborough and beyond you are in a great place to attract new clients. 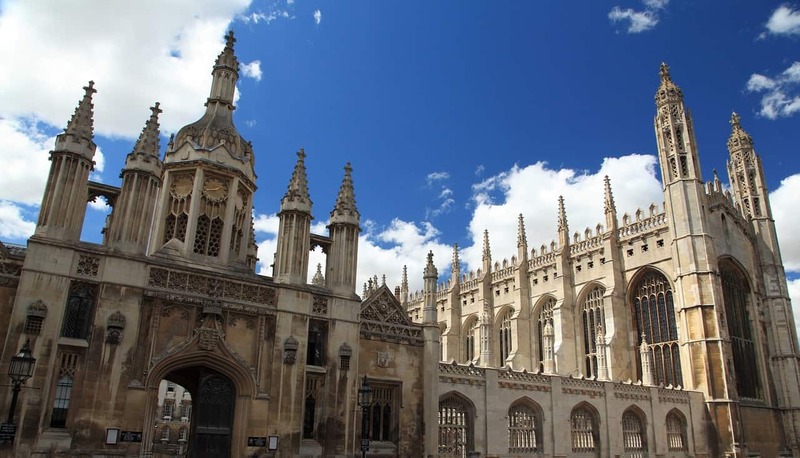 In Cambridge, you’re just a 45-minute train journey from London’s King’s Cross station and with easy access to the M11, the journey to London will take approximately 90 minutes by road. The nearest airport is Stansted, which is just a 40-minute drive away! 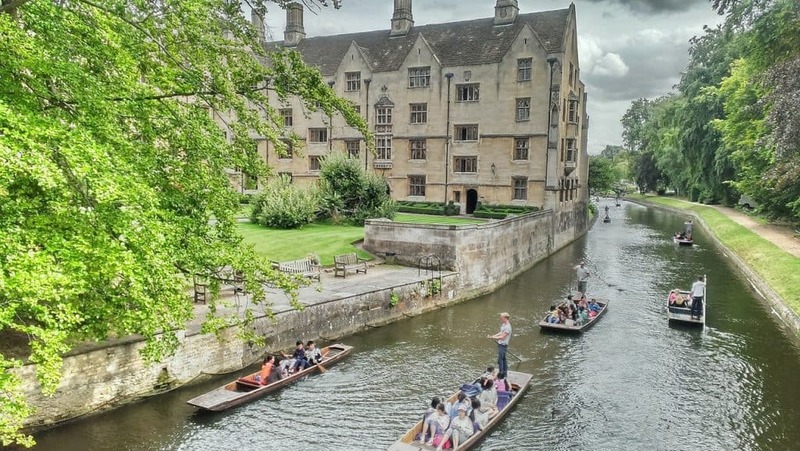 The benefits of starting a business in a well-connected area are obvious, and Cambridge is no exception. With one of the best universities in the world situated in the centre, you shouldn’t have too much difficulty recruiting high-calibre employees whose exceptional knowledge could prove invaluable to your business. Aside from the world-renowned Cambridge University, Cambridge is also home to the fantastic Anglia Ruskin University. While not as globally recognised as its peer, it’s still a highly commended university, particularly in the fields of Psychology, English and History. Perhaps this access to first-class talent explains why big-name tech companies such as Apple, Spotify, Amazon and Microsoft have a presence in the city. Having the right people behind your business is crucial, especially during those critical early stages. The importance of having such readily available access to excellent cannot be overstated, as it really could making or breaking of your venture. Eagle Lab’s Cambridge Incubator – Barclay’s flagship Eagle Lab business incubator is located on Chesterton Road in Cambridge. Offering co-working, private offices, and mentoring, this has long been a popular starting point for pioneers and innovators. St John’s Innovation Centre – This is the place to be if your venture centres around science and/or technology, there are few environments better suited to supporting and nurturing innovative firms than here. Serious Impact – Here you will have access to co-working, office space, meeting rooms, networking opportunities and first-class support. Incubyte – This is a business incubator for technology-based startups and can be found in the Cambridge Innovation Park. This business incubator features modern workspace, bespoke mentoring and access to workshops, talks and events. Business incubators house some extremely successful start-ups and are very popular as your office is embedded within a hub of exciting up-and-coming businesses that are more often than not in a similar position to yourself. The idea is a win-win for many as you benefit from lower costs and have access to a wide range of ideas and individuals who can inspire you on a daily basis. 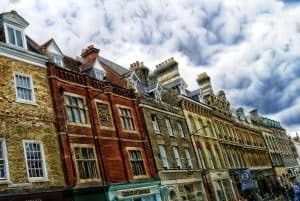 One of the advantages to locating your business in Cambridge is the reputation of the area. Perception drives purchasing decisions and by simply being located in a well-regarded area, some of that positive perception will naturally be transferred to your business, almost as a free form of marketing. Alongside this, you’re in the proximity of approximately 125,000 residents who have a relatively high GDP, a great start when targeting lucrative new clients. Marshall Group – One of the UK’s largest aerospace and defence companies, property companies and motor retail and leasing companies. Hilton Food Group – Established in 1994 in Huntington (just outside of Cambridge), this company has undergone unprecedented growth. Now, with six factories across Europe, Hilton supply supermarkets in over 14 different European countries! Jagex Limited – Best known for creating Runescape, an online fantasy game that quickly became a worldwide phenomenon. Jagex continues to operate from St John’s Innovation Centre. Napp Pharmaceuticals – Napp have been providing the UK with medicines since the 1920s and continue to supply the NHS today! …And the list goes on, and on. The most important thing to do at the beginning of any business venture is to get the right support and guidance. This is where our specialist knowledge and experience comes into play, not only are we chartered, certified accountants but also business advisors. This means that we can help you with the compliance aspects of setting up a business (accounts, tax etc.) and advise you on the steps to take to give your business the best chance of success. Assisting you with just the bare essentials is not what we’re about, we want to help your business thrive, succeed and be profitable, not just to comply with legislation. An example of this is rather than just ensuring your business is fulfilling its tax requirements, we would work with you to make your business as tax efficient as possible. If this blog has piqued your interest, you may find it useful to learn about our business startup service. If you’re thinking about setting up a business in Cambridge, please get in touch with our local Cambridge office. We offer free consultations and can help you set things up properly from the start.